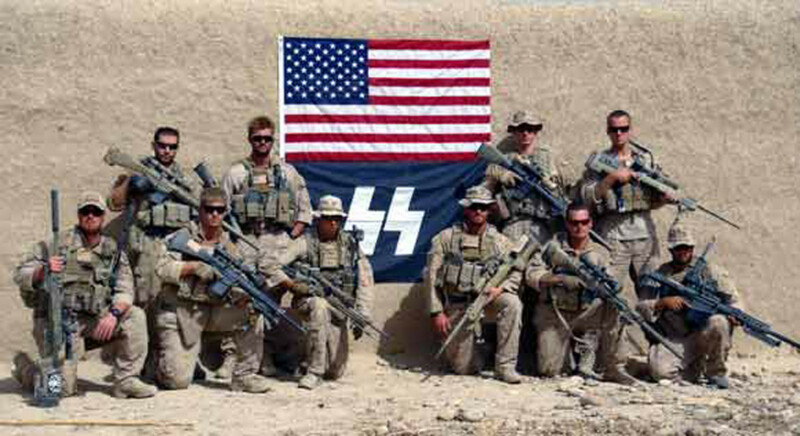 U.S. Marines pose with a SS Flag in 2012. Last month, a Coast Guard officer was arrested after an investigation discovered he was stockpiling weapons and preparing to attack politicians in Washington, D.C. 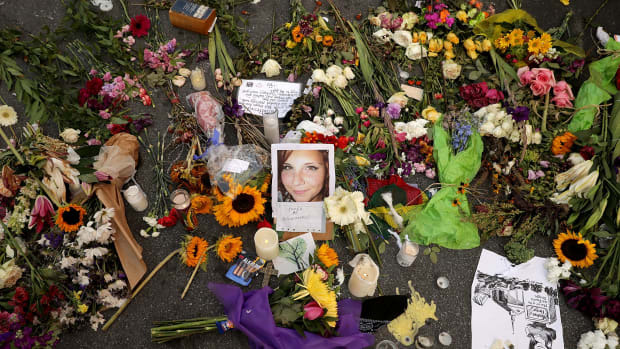 The story of his arrest reignited a national debate about how American law enforcement approaches far-right domestic terrorism. But it also highlights a more specific link, publicly acknowledged by the Department of Homeland Security in 2009, between far-right domestic terrorism and United States military personnel and veterans. The Federal Bureau of Investigation and the DHS, the agencies responsible for gathering information on and investigating domestic terror groups, once had task forces focused specifically on far-right-wing terrorism. In 2009 the DHS released a report on right-wing terrorism that highlighted the threat of far-right groups recruiting veterans to their extremist causes. 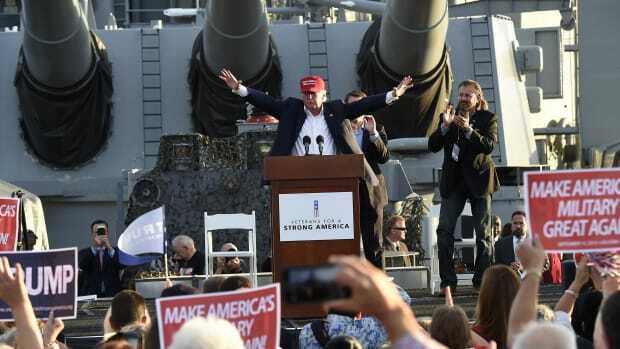 Conservative politicians and media outlets jumped on the report, decrying it as an unfair assessment of both conservative groups and disrespectful toward American veterans. The backlash was so severe that the then head of the DHS, Janet Napolitano, publicly apologized for the report and dismantled the team responsible for tracking far-right threats. Despite the outrage, the connection between far-right terror and the American military has a long history. 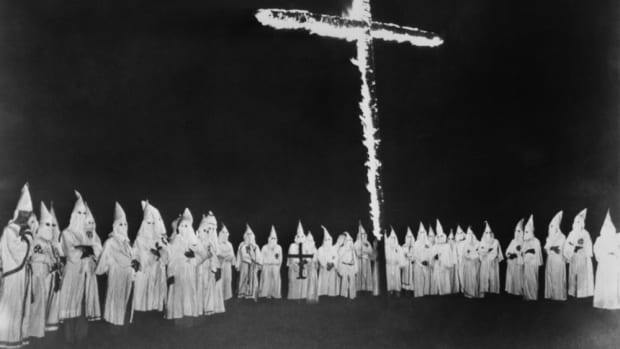 From the first days of the KKK after the American Civil War, white supremacist and anti-government groups have specifically recruited military personnel and veterans to their causes. The KKK&apos;s first leader was a former Confederate general, Nathan Forrest, chosen for his ability to lead and attract other Civil War veterans to their cause. William Pierce, a white supremacist figurehead and author, wrote a pamphlet in the 1970s that urged white supremacists in uniform to actively seek out other service members for recruitment. According to a 2006 Southern Poverty Law Center report, by the 1990s far-right extremist leaders were pushing younger members of their groups to join the military in order to develop skills with weapons and explosives—skills the service member would then use to train their fellow extremists, as well as commit attacks. The Department of Defense has long maintained that it has zero tolerance for white supremacy or anti-government extremists in its ranks, but history suggests many white supremacists have joined nonetheless. The threat of active duty military and veterans becoming radicalized by far-right extremist rhetoric is hardly theoretical: In the 1990s a white supremacist gang formed in the U.S. Army&apos;s 82nd Airborne Brigade, stationed at Fort Bragg, North Carolina. In 1995, two members murdered a black couple, which created public outcry and a supposed crack down on neo-Nazi activity within the ranks. But the crack down didn&apos;t prevent other extremist groups from flourishing within the military. The SPLC report notes that a military investigator in 2006 "identified and submitted evidence on 320 extremists at Fort Lewis in Washington state but that only two had been discharged." There are more recent reports of neo-Nazis and far-right extremists in the military. In 2012 alone, a member of the Missouri National Guard was arrested for providing weapons for and running a neo-Nazi paramilitary training camp in Florida, two soldiers were arrested after murdering a former soldier and his girlfriend in an attempt to cover up their assassination plot against then-President Barack Obama, and a Marine Corps scout sniper team in Afghanistan posed with a Nazi SS flag. A 2014 Vice News segment showed the KKK was actively seeking to recruit U.S. military veterans, and a few were answering their call. While a majority of military veterans-turned-domestic terrorists are far-right wing or racially motivated, there&apos;s also been cases where service members or veterans have been inspired by other extremist ideologies. The 2009 Fort Hood shooter, Nidal Hassan, described his mass shooting as an act of jihad during his trial. But according to data from non-partisan think tank New America, right-wing domestic terrorists committed twice as many attacks in the U.S. as jihadists between 2001 and 2013. Despite this, law-enforcement efforts focused on preventing soldiers and veterans from participating in homegrown terrorism have been largely gutted. A majority of U.S. military personnel who&apos;ve committed domestic terror attacks have been veterans, not active duty. According to the same New America data, 21 military veterans were identified as having committed or attempted an act of violence as a right-wing extremist between 2001 and 2013. 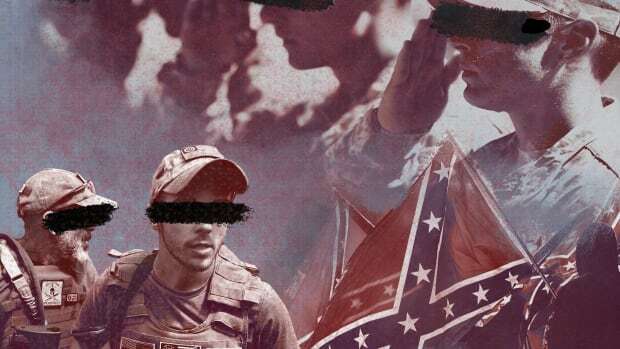 While some were radicalized before or during military service, others seemed to first participate in far-right extremism after leaving the military, while they searched for identities as civilians. According to Daryl Johnson, who authored the 2009 DHS report and who&apos;s tracked far-right extremism for the U.S. Army and the Bureau of Alcohol, Tobacco, and Firearms, it&apos;s during the period immediately after leaving military service that veterans are most susceptible to radicalization efforts. Johnson says that those who leave the service frustrated or disenfranchised are most at risk. "Some may feel ostracized, like they can&apos;t relate [to civilians]. They&apos;re seeking a sense of community." Some find that community in far-right extremist groups or anti-government militias, since it "still gives them that adrenaline rush," Johnson says. "Going out in the woods, it&apos;s like being on an FTX, or field exercise." Many far-right extremist ideologies, shrouded in nationalism, also may seem patriotic at first interpretation, which has initial appeal to veterans. "They&apos;re reinterpreting or using a very narrow interpretation of the U.S. Constitution," Johnson says, "but it plays into [a veteran&apos;s] desire to do something for their country." Unfortunately for investigators, collecting information on far-right terrorists—especially those currently in the U.S. military—is not necessarily enough to warrant an arrest or removal from active duty. As Johnson points out, there&apos;s an oft-exploited loophole in the Department of Defense&apos;s ban of white supremacist groups, but not related anti-government militias. "They&apos;re more proactive about white supremacy, especially after Charlottesville," Johnson says. "But for anti-government groups and militias, there&apos;s no department policy that prohibits being a member of those groups." As long as a service member stops short of carrying a membership card for a white supremacist organization, there&apos;s little that Department of Defense investigators can do beyond track individuals and pass the information along to the FBI and Department of Justice once the service member leaves the military. But Johnson suggests that soldiers and veterans can have a more proactive hand in spotting and reporting neo-Nazis in the ranks. "When you see someone saying something radical or extreme, just ask them, &apos;Hey, where did that come from?&apos; Engage the person, do it in a humorous way or ask a follow-up question to see if they truly believe what they&apos;re saying," Johnson says. "Of course if the person becomes agitated or increasing their radical rhetoric, you should notify their command or notify law enforcement. But law enforcement only gets involved when they&apos;ve crossed over into threats and criminal activity." 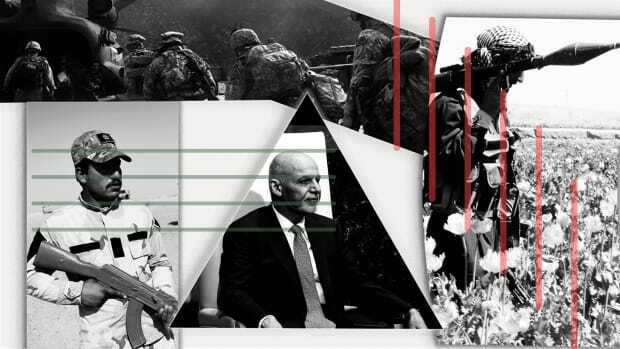 Interviews with members of the Afghan military, from generals to recruits, reveal concern about the future ahead.